Plums and schnapps – these are the first things one would think of when you mention Troyan. Annual festivities are held there in autumn to celebrate the "Plums' and Schnapps' Holiday". Troyan is famous not only as the town of plums and schnapps but also for its skillful potters and woodcarvings. Pottery has long traditions in Troyan; starting from the early 19. century it has developed to a main industry and lots of people made their living of it and some still make it. So if you go to Troyan, you should definitely buy yourself a clayed pot in memory of the town. Troyan is situated in central Bulgaria, 160 km to the east of Sofia and 300 km to the west of Varna. It is a mountain town (400 m above sea level) with charming location on the shore of the Beli Osam river. Good news for keen skiers: 20 km from the town of Troyan is the site Beklemeto (1360 m above sea level) which will delight you with a piste, a ski school, several hotels and restaurants. The most popular place of interest in the area of Troyan is the Troyan monastery. This precious Christian monument was built in the 17. century and is the third biggest monastery in Bulgaria. It houses the wonder-working icon of St.Virgin Mary. 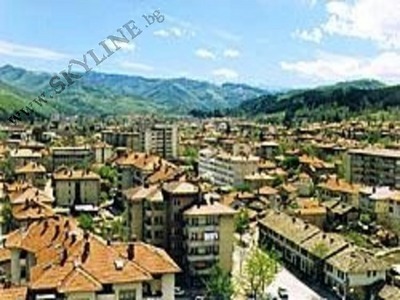 The name of the town Troyan comes from Roman times (1. century B.C.E.) when North Bulgaria used to be part of the Roman Province Misia. The old Roman Road VIA TRAYANA, which crossed the mountain close to the town, gave it its name.